As part of the School’s structure, students work from life, from compositional drawings and from their imaginations. 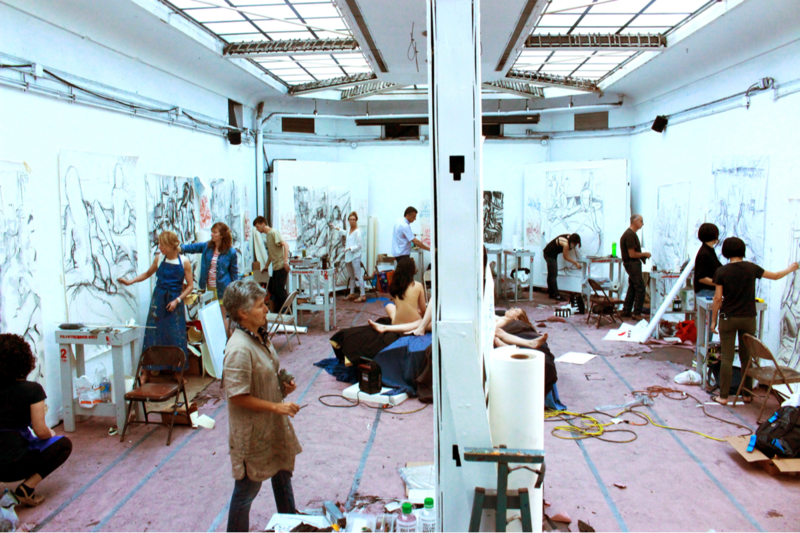 The New York Studio School’s curriculum is based on the atelier-system and a group teaching model for both the full-time and part-time programs. For students enrolled in the full-time programs, the School offers the opportunity to combine historical practice with independent, creative thought, and benefit from the studio-based method while having the time and space to explore their own individual creative efforts. Part-time students, who can enroll in the Drawing Marathons (offered three times a year – in the Summer Session or in the fall and spring) or Evening & Saturday classes, get to experience the intensity and rigor offered by the School in a more condensed manner. These courses are open to beginning and advanced artists regardless of their affiliation. 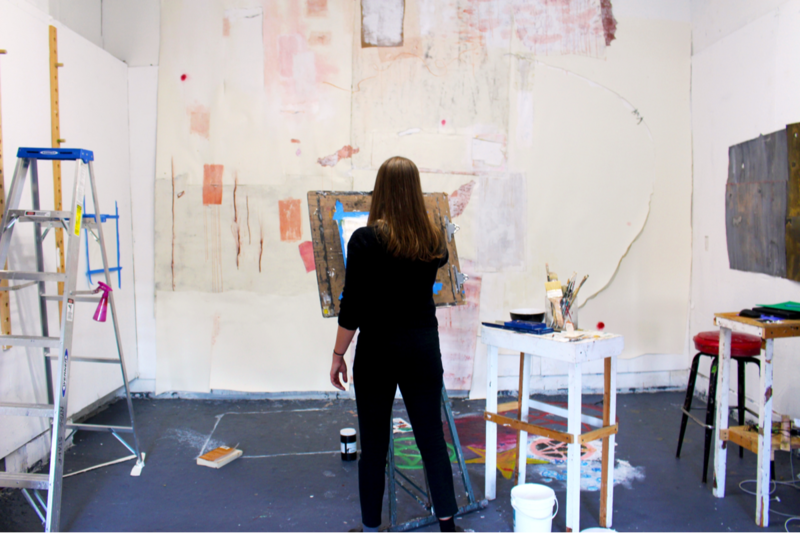 The MFA programs, offered with concentrations in Painting or in Sculpture, continue the ethos of the teaching methods defined by the School’s history within a recognized degree program. 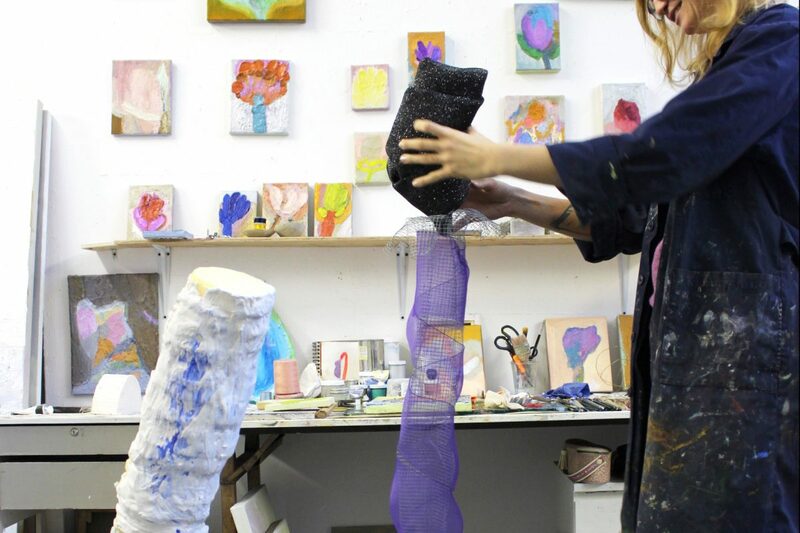 New York Studio School offers students a three year intensive studio Certificate Program in their chosen areas of study: Painting or Sculpture, with Drawing as an integral component of each discipline. The School’s internationally-recognized Marathon programs were developed in 1988 by Dean Graham Nickson. They are intensive, all-day programs that run for two weeks at the beginning of each semester and during the Summer Session. Several courses in drawing, painting and sculpture are offered in the evenings and on Saturdays during both the regular semesters and during the Summer Session. The 2018-2019 academic calendar contains information on deadlines, program session and exhibition dates, and holidays. The online course catalog provides a listing of all NYSS courses for quick access to full course information and descriptions. Our distinguished faculty comprises artists with professional experience and numerous visiting lecturers. An overview of the studios and project rooms designated for our ateliers, as well as additional facilities. The Library’s mission is to support the New York Studio School’s programs and courses by providing materials and information. 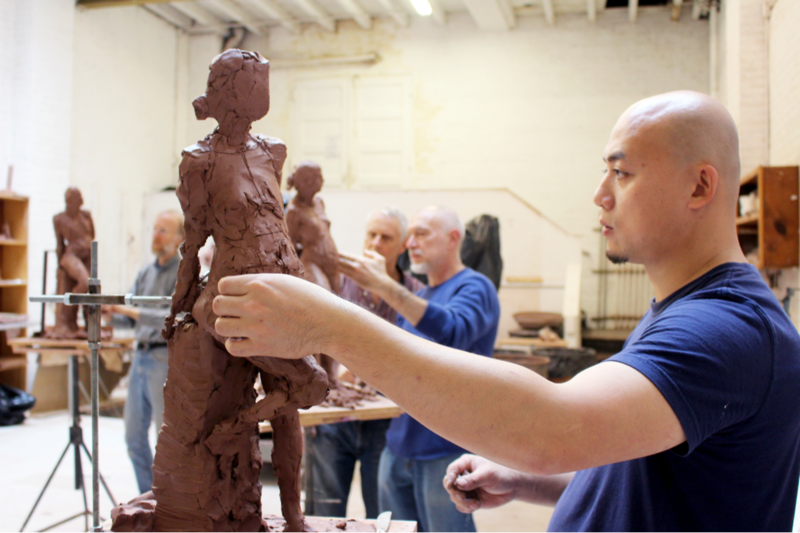 The DUMBO studio space is made available to a chosen selection of final year MFA sculpture students.